Today I am publishing an interview with Jay Rosen, New York University journalism professor, and long-time campaigner for the press to engage more effectively with the public. From 1993 to 1997 Rosen was the director of The Project on Public Life and the Press, founded to further "public journalism" — a movement that emerged in the US in the early 1990s to try and encourage the press to take a more active role in strengthening citizenship, improving political debate, and reviving public life. Public journalism, Rosen argues, failed in its aims. Moreover, the advent of the Web has shifted the discussion from public journalism to citizen journalism, and raised the possibility that the blogosphere will make the press increasingly irrelevant. Rather than viewing this as a threat, says Rosen, what journalists now need to do is to work with bloggers to create a new form of Open Source Journalism. This is number four of The Basement Interviews, the introduction of which I am publishing on my blog. The full article (including introduction) is available as a downloadable PDF file (see below for details). The interview is being published under a Creative Commons licence. 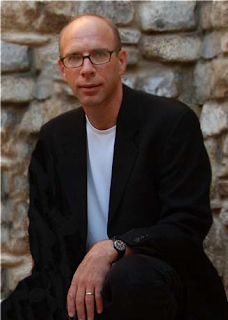 Jay Rosen was born in Buffalo, NY, in 1956. Both sides of his family were Jewish immigrants from Poland: one grandfather arrived in North America via New York, the other via Toronto. Rosen's branch of the family subsequently settled in Buffalo, in order to "get away from" the Toronto grandfather. As he grew up Rosen, in his turn, dreamed of getting away: away from the "comfortable deprivation" and "thinness" of the "white-bread post-war working-class suburb of a typical American city" that he felt Buffalo to be; away from the enforced passivity and loneliness of the suburban house with the always-on television — a world in which citizens were spectators, not participants, in the events of the nation. By his own account Rosen's education was "pretty incoherent". After flunking out as an architecture major at Carnegie Mellon he changed subjects several times, before eventually graduating from the State University of New York at Buffalo. In his final year of college, Rosen decided that he wanted to become a political reporter, probably in Washington; an ambition that crystallised during a successful internship at his local paper — the Buffalo Courier Express. The editor was sufficiently impressed that he promised Rosen a journalist's position when he graduated. On his return to college, however, Rosen began to fret that — for someone planning to escape the 'burbs — he was not being very adventurous. So he decided to look for another job, and unwittingly applied for the position he had already been promised but which had been advertised to meet union requirements. When he turned up to claim the post, the furious editor had the security guards throw him out, outraged that Rosen had accepted a job with his paper, and then looked elsewhere. Forced to start over, Rosen opted to change directions, and enrolled in a media studies PhD program at New York University (NYU). Casting around for a suitable topic to research, he stumbled across a famous 1920s debate between Walter Lippmann and John Dewey about "the public" — a debate sparked by the publication of Lippman's book Public Opinion. Fascinated by the discussion, Rosen decided to write his dissertation around the debate. Entitled The Impossible Press, Rosen’s thesis argued that while the press had an important democratic role to play in helping the public to form opinions, this was a difficult task, and journalists had to keep re-discovering how to accomplish it. He later concluded that they had entirely forgotten how to do so, and now only paid lip service to the role. Becoming a member of the NYU faculty in 1986, Rosen went on to devote his professional career to exploring the delicate and complex relationship between the press and the public. Gaining a reputation for having an acute insight and understanding of the press' role in a democracy, Rosen became a leading figure in the reform movement known as "public journalism" — which emerged in the US in the early 1990s in order to encourage journalists to repair their relationship with the public. From 1993 to 1997 Rosen was the director of The Project on Public Life and the Press. Funded by the Knight Foundation, and housed at NYU, the project's goal was to support the movement for public journalism by holding meetings for those interested in the topic, encouraging the press to undertake experiments and projects, and then studying the results. And in 1999 Rosen published a book on the topic called What Are Journalists For? In retrospect, Rosen believes that the public journalism movement had little impact on the press, whose disconnect with the public today has reached the point where something is seriously wrong with the relationship. More importantly, the development of the Web, and especially the blogosphere, has broken journalists' monopoly on news reporting. Consequently, cautions Rosen, unless it adapts the press risks being sidelined, and becoming increasingly irrelevant. This threat, he adds, is the same threat currently confronting many other professional information gatekeepers in the networked world. "All kinds of knowledge monopolies — and positions of authority based on them — are wearing away … [and] … the professionals who have gained control of institutions of various kinds — including politics — are not going to have that kind of control anymore." As such, says Rosen, the Web has shifted the debate away from the need for journalists to embrace public journalism, to a discussion about how the public is now able to do its own reporting, by means of citizen journalism and blogging. The problem, says Rosen, is that while the Web may appear to empower the public to do its own reporting, the reality is that the world — particularly its social and political institutions — is just too dense and complicated for ordinary citizens to penetrate. However revolutionary and inherently democratic the Internet may be, therefore, we still need professional journalists to interpret the world, and explain things to us. Rather than viewing the blogosphere as separate from the press, therefore, Rosen believes journalists now have to share journalism with bloggers, and develop a new collaborative relationship; a relationship in which members of the public and professional journalists cooperate to create a superior form of journalism. After all, as journalists are increasingly discovering (to their chagrin), bloggers are extremely adept at locating and exposing errors in news reports, demonstrating the extent to which in an online world the "code" of news reporting has become more transparent and open. Essentially, Rosen's vision is a form of Open Source Journalism, which is how his publishers portray it in describing his new book By the People. "Ultimately”, the editorial review on Amazon reads, “Rosen argues that the press must become even more interactive, following the 'open-source' model of the software world, if it is to reinvigorate the public’s trust in the people who report the news." Indeed, the beauty of the open source model when applied to news reporting is not just that it leads to greater accuracy (as Eric Raymond might have put it: "given enough eyeballs, all [news] bugs are shallow"), but it provides an ideal way to encourage the public to participate more fully in the affairs of their nation, rather than just sitting passively watching events unfold on their television sets — in the way Rosen did as a child. Moreover, bloggers are proving that they can be as effective as the press when it comes to sourcing news stories too — as demonstrated in December 2003, when Minnesota-based Doug McGill broke the news to the world that a wave of genocidal killings was taking place in Ethiopia. But if they don’t get across, he says, the capacity to effectively report the news every day could be “lost". Before interviewing Rosen I became a regular visitor to his blog, PressThink. What immediately struck me was that in place of the standard information snippets, short personal comments, and links to other sites, Rosen publishes long analytical essays, most of which are pretty dense. A slim bespectacled man, Rosen clearly has an inherently cerebral approach to life, and my conversation with him was therefore predictably challenging: I found myself having to grapple with abstract ideas and unfamiliar intellectual concepts. At times I was also frustrated that, like many people with a complex understanding of the world, Rosen is more inclined to raise interesting questions than provide clear answers. Unlike many intellectuals, however, he is neither self-important nor arrogant, and many of his answers ended with a small self-deprecatory laugh, as if signalling to me that he was fully aware that there are other — some possibly better — ideas out there but, for what it was worth, this was his view. He also appears anxious not to seem overly professorial. Having initially decided to call his blog "Master Narrative," for instance, Rosen experienced a last-minute crisis of confidence. Concluding that the title was too pretentious, and so might attract parody, he changed it to PressThink. The irony, perhaps, is that many may feel PressThink to be just as highbrow a title. In short, Rosen seems to be a reluctant intellectual; a man who might have preferred his career to have been more directly connected with the real world, and real events. An early ambition, after all, was to become a Washington reporter, and I sensed a little regret that he had ended up in an ivory tower. At the same time, he evidently accepts that ultimately he is, as he himself puts it, "more of a critic and intellectual than a reporter type". Unlike most of those I have spoken to in the various free and open movements, Rosen takes no interest in hot topics like digital rights management (DRM), copyright and intellectual property. He is also unconcerned about who owns information, and has little interest in access issues. But why should he? From the consumer’s point of view the Internet is driving down the costs of news information, and so increasingly removing any access barriers. Consequently Rosen is able to look beyond the issue of information's availability, and focus on the need to make it available in a way that inspires the public to participate — in their government, in their nation, and in their town. It is interesting to note that while Rosen's message is very different to Richard Stallman's, they both believe that the free sharing of knowledge and information serves a vital social and political function in human communities. Indeed, although his concern is news information (rather than software code), in talking to Rosen I was reminded of Stallman's comment to me that "sharing knowledge is an important way in which people cooperate. To refuse to tell someone what he needs to know is hostile." Or as Rosen puts it, "the enemy of democracy is inscrutable power and opaque institutions." Unlike Stallman, however, Rosen does not believe it is enough to make information freely and transparently available. When reporting news, he argues, it is essential to present the information in a way that stimulates people to become involved in their community. "As a professor of journalism," he explains, "a lot of my work has been trying to get journalists to recognise in their work that the 'feeling yourself a participant' part is basic to any demand that may exist for their skills and services." Above all Rosen's message is a timely reminder that however democratic and transformative the Web may potentially be, it is in itself essentially only an information distribution channel. While information may (in Stewart Brand's famous phrase) "want to be free," it is often inadequate, or even worthless, unless and until it has been digested, evaluated, and interpreted. And that, says Rosen, is why we still need journalists. *** There could have been no better demonstration of this, perhaps, than the recent news (coming some months after this interview took place) that Knight Ridder, the second largest newspaper company in the US, has decided to sell all 32 of its newspapers to smaller rival McClatchy. As the University of Pennsylvania's Wharton School of business points out, the sale follows one of the most difficult years the industry has had, with declining circulation, job losses and falling stock prices. "Newspapers, it would seem, have two big strikes against them: They are in a mature industry and they are a textbook example (stockbrokers are another) of an intermediary between sources of information and customers — a role that is being increasingly challenged by the Internet." If you wish to read this interview in its entirety please click on the link below. I am publishing it under a Creative Commons licence, so you are free to copy and distribute it as you wish, so long as you credit me as the author, do not alter or transform the text, and do not use it for any commercial purpose. If after reading it you feel it is well done you might like to consider making a small contribution to my PayPal account. I have in mind a figure of $8, but whatever anyone felt inspired to contribute would be fine by me. Payment can be made quite simply by quoting the e-mail account: aotg20@dsl.pipex.com. It is not necessary to have a PayPal account to make a payment. What I would ask is that if you point anyone else to the article then you consider directing them to this post, rather than directly to the PDF file itself. If you would like to republish the article on a commercial basis, or have any comments on it, please email me at richard.poynder@journalist.co.uk. I would like to acknowledge the help of the Open Society Institute, which provided a small upfront grant to enable me to get started on The Basement Interviews project. Further information about The Basement Interviews can be found at the Open and Shut? site. To read the interview in its entirety (as a PDF file) click here. Where is the Open Access Foundation?